COLUMBIANA, OH- You just never know what Lady Rebel will hurt the opposition the most these days. 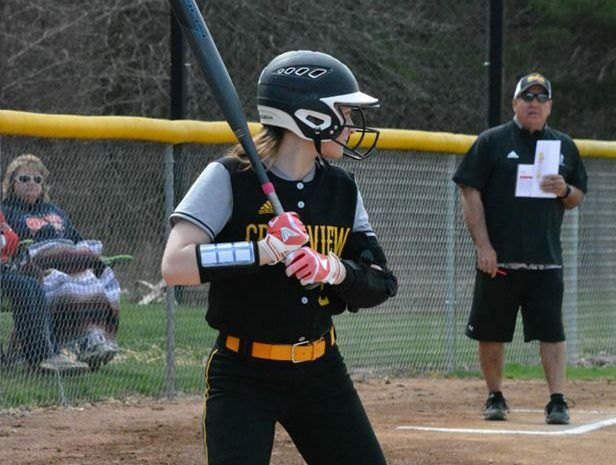 Crestview proved that theory and dug into their toolbox again on Saturday in a 7-2 Victory over Edgewood. Taylor Mellington proved to be the hero during this weekend’s matchup. In the top of the first inning, Edgewood’s Julianna Sloan hit a line drive single then advanced on an overthrow to second base. Then with 2 outs, Sara Drake hits a single to score Sloan. The Lady Rebs would respond n the bottom of the second inning when Skyler Mattern led off with a single followed by a Baylie Bettura single, and then a sac fly from Taylor Mellington scoring Crestview’s first run. Crestview would go on to score three runs in the inning. Crestview would pull away in the 4th inning when they strung along 5 hits in a row to put 4 more on the board to make the score 7-1, and essentially close the door on the Lady Warriors. Taylor Mellington would lead the Lady Rebels with 2 hits, an RBI and 2 stolen bases. Kaedyn Sutton added 2 hits to the cause as well. It was a great team effort with 8 out of the 9 starters contributing a hit. For Edgewood Katyln Ezzone, Claire Rudolph and Sara Drake each had 2 hits. Sutton picked up the win for the Rebels while Ezzone suffered the loss for Edgewood. Crestview improves to 14-2 on the season (7-0 AAC) the Rebels will travel to LaBrae on Monday.